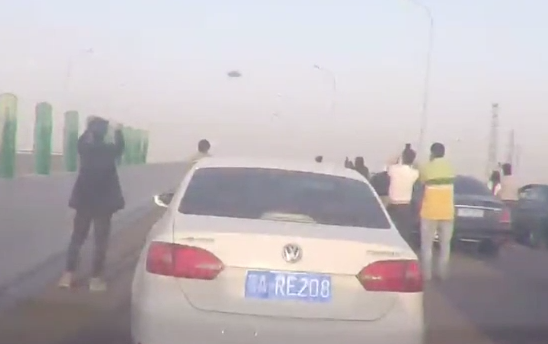 UFO SIGHTINGS DAILY: UFO Over Guangzhou, China Causes Traffic On Freeway To Come To A Stop, April 2016, Video, UFO Sighting News. 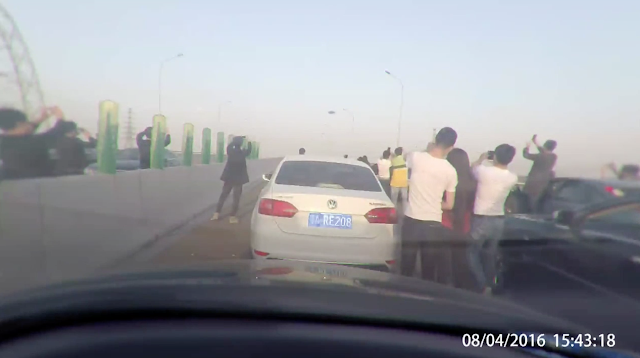 UFO Over Guangzhou, China Causes Traffic On Freeway To Come To A Stop, April 2016, Video, UFO Sighting News. 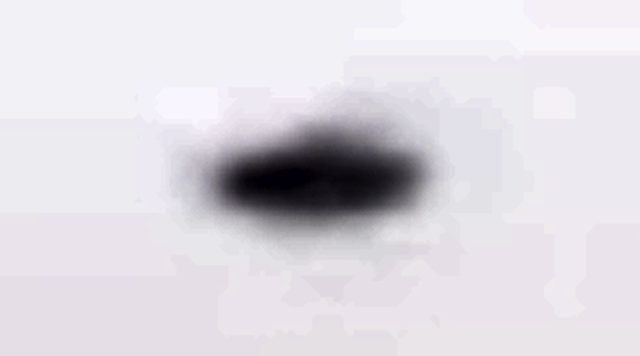 Close up of UFO below with added contrast to make it stand out. Here is a cool sighting I found, but it dates back to April of this year and has never been seen outside of Asia yet. A man and woman in the car come to a stop and they are heard saying "Fay-de-aya," which means UFO in Chinese. She then says to get out and record it, which he agrees is a good idea. A crowd builds up in the middle of a highway in the Chinese city of Guangzhou. The street quickly becomes a parking lot on both sides as many people get out of the cars and start recording the UFO with their cell phones. If you turn up the volume at the end of the video, you can easily hear a man up ahead panicking suddenly, which causes his girlfriend to scream in fear. Yes, Asians do get more afraid of the unknown than Americans...its a cultural thing you will notice if you ever travel to Asia. The video flashes and then stops, probably because it came to the end of its 3 min loop that many car cams have in Asia (mine does). At the end of every 3 minutes, it saves and on SD card and records a new one. Overall this is a fantastic example of big UFO over China. Why don't we see more videos of it? Because it takes a brave person to post something unknown on the internet that might get you and your family arrested in China, since the Chinese government probably considers such videos to be top secret, and a threat to their national security. I also noticed, if you make if full screen, that the UFO wobbles as its moving, much like the old 1950s movies. It is a disk, so perhaps the disk is spinning as it moves, as many have been reported to do. Driving camera recorders a large crowd of people recording a UFO flying over Guangzhou. A car driving recorder captured a thriller, UFO was suspected, but the unknown flying objects in the air scared the crowd.